This webpage provides supplementary material for the paper "Modeling interoperable information systems with 3LGM² and IHE" by Sebastian Stäubert, Michael Schaaf, Ralf Brandner and Alfred Winter. The paper is published in "Methods of Information in Medicine" (2015; 54(05): 398-405. DOI: 10.3414/ME14-02-0027. 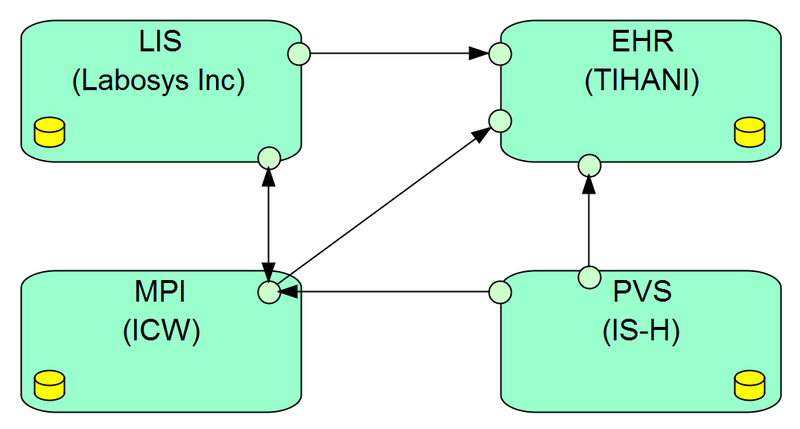 UML class-diagramm with the 3LGM2IHE mapping (yEd-File) which shows the mapping of IHE concepts with 3LGM² classes. IHE-master-model:Submodel "IHE" (PNG) shows an overview of all IHE domains and profiles. 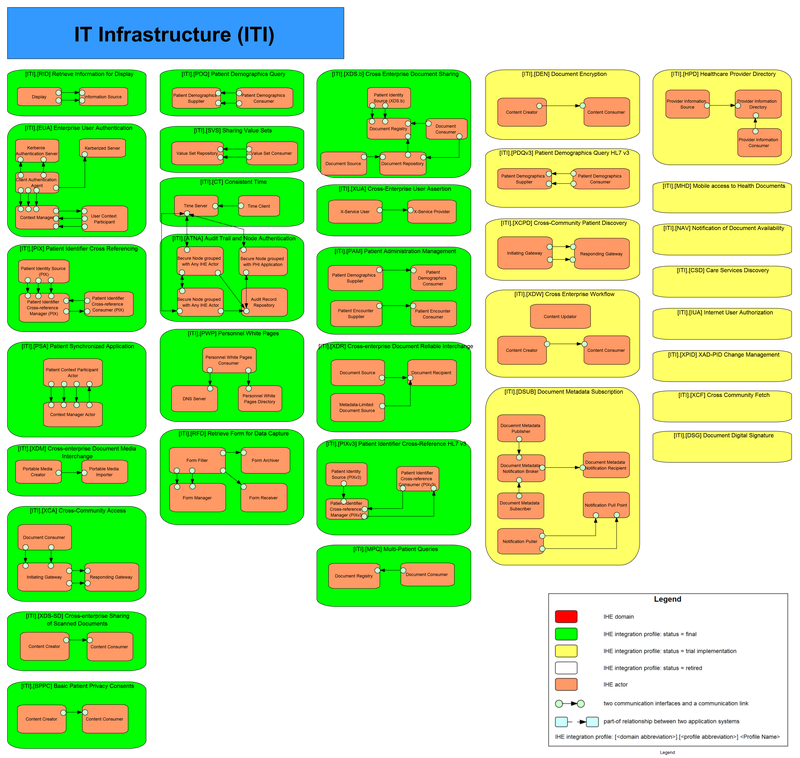 IHE-master-model:Submodel "IT-infrastructure" (PNG) shows the profiles, actors and transactions from the ITI technical framework. 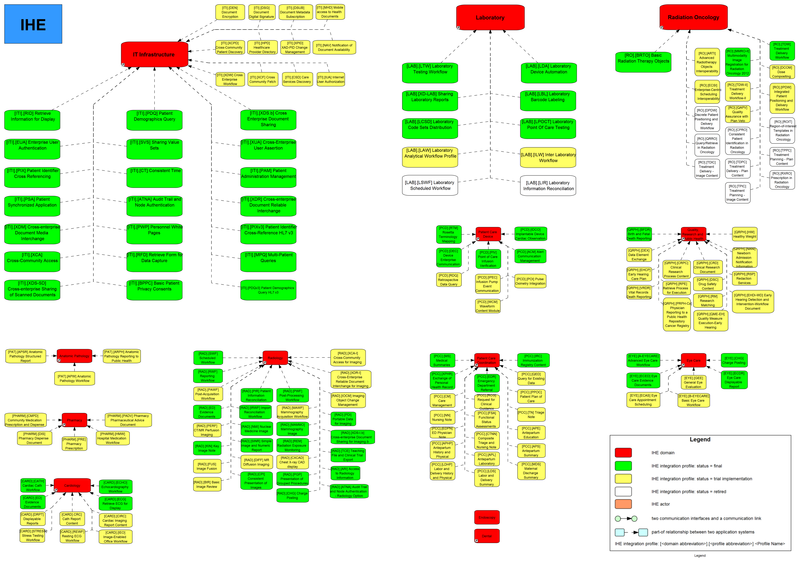 IHE-master-model:Submodel "Quality, Research and Public Health" (PNG) shows the profiles, actors and transactions from the QRPH technical framework. 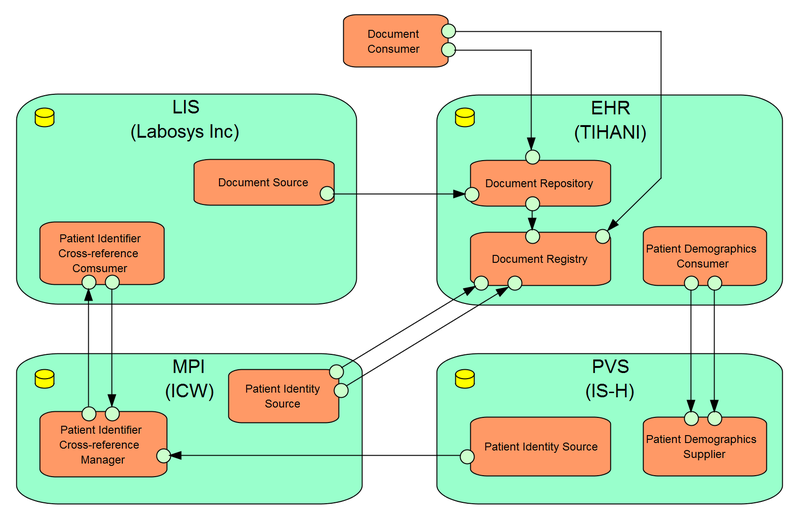 IHE-master-model:Submodel "Scenario1" (PNG) shows an example of connected application systems. The communication is modeled without using IHE. 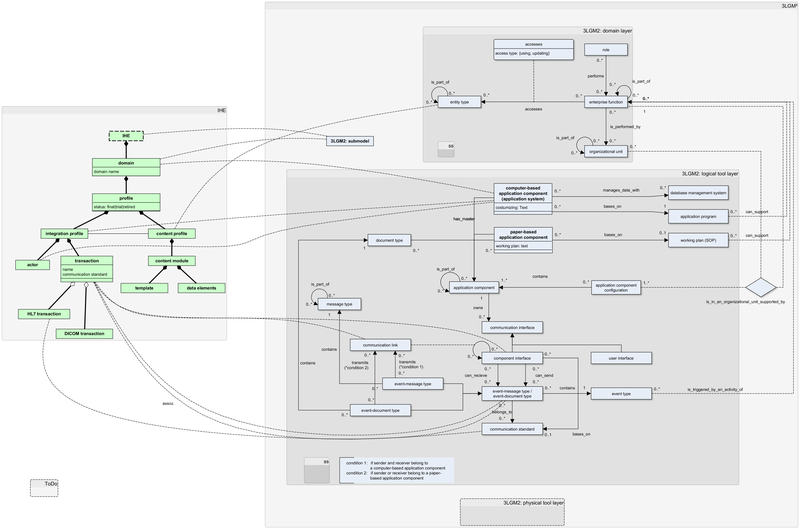 IHE-master-model:Submodel "Scenario1+IHE" (PNG) shows an example of connected application systems. The communication is modeled using IHE components from the IHE-master-model.